Michael became the pastor of May Memorial Church in September of 2011. 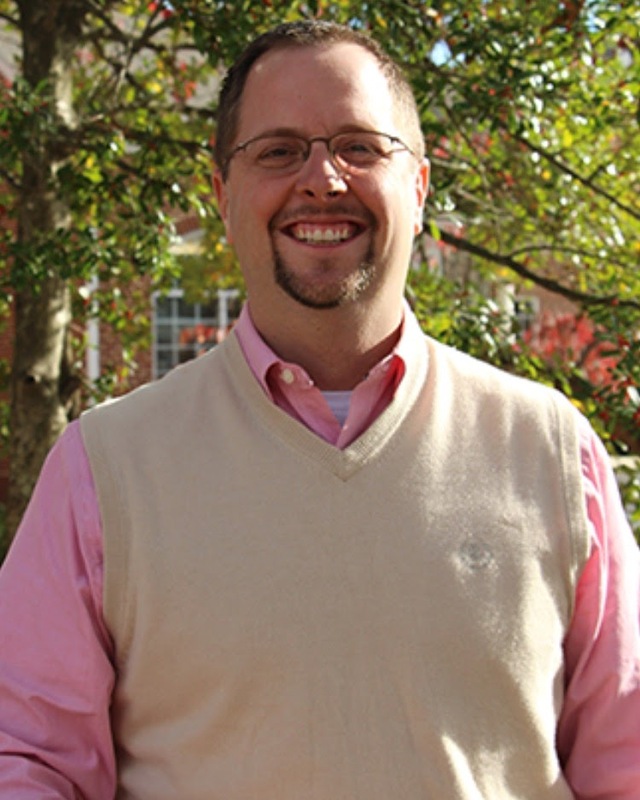 He is a North Carolina native, and holds degrees from Bob Jones University, Southeastern Baptist Theological Seminary, and Columbia Presbyterian Theological Seminary. Dr. Edwards is active in the community and has led the May Memorial family to embrace the community through local missions. Michael preaches each Sunday Morning, leads Bible studies, provides pastoral care, and offers pastoral leadership to the May Memorial family. Michael and Beverley have three daughters, Anna, Sophie, and Laura, all of whom are students in the Powhatan Public Schools. Michael loves college basketball, the outdoors, supporting his daughters on the High School and YMCA swim teams, and spending time with his family.